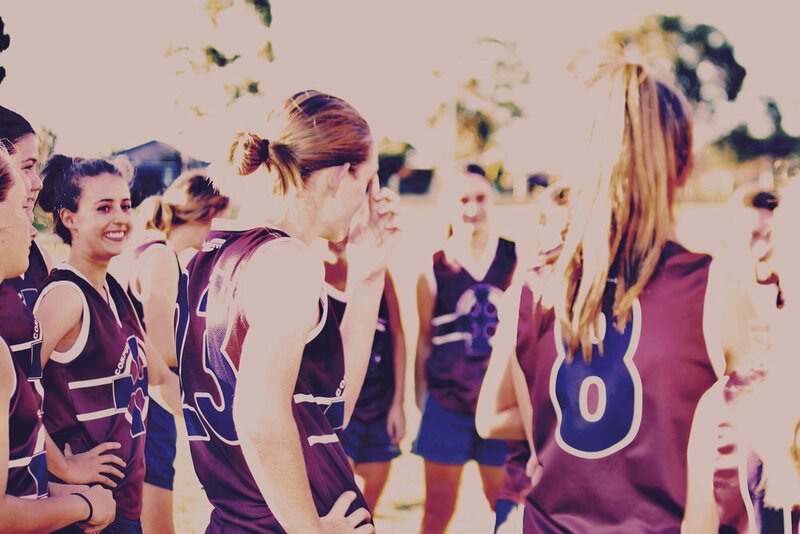 After low scoring performances against John Septimus Roe Anglican Community and Willetton Senior High School in the first two rounds of the Docker’s Cup, the Senior Girls team fronted with renewed energy and enthusiasm at our home clash against Emmanuel Catholic College on Tuesday 16 May. In contrast to previous games, this tenacious team was full of run, quick hands and long kicking. The tackling pressure from the Corpus girls was immense and our on-ballers led by Lyndsey Fowles, Ellyn McGlone, Gabby Radojkovich and Chloe Ducrow manufactured plenty of supply to spritely forwards in Peyton Craig-Power, Bronte Montague, Emma Zanoli and Mya Grieve. Against the breeze in the second half the Corpus work rate remained high and repeat defensive pressure acts from Kate Nolan, Amelia Swan and Tahlya Brown kept the opposition at bay. Every single player committed to the contest this week and it was fantastic to witness the girls all enjoying their footy together. We look forward now to hosting Kolbe in couple of weeks following the general BYE.